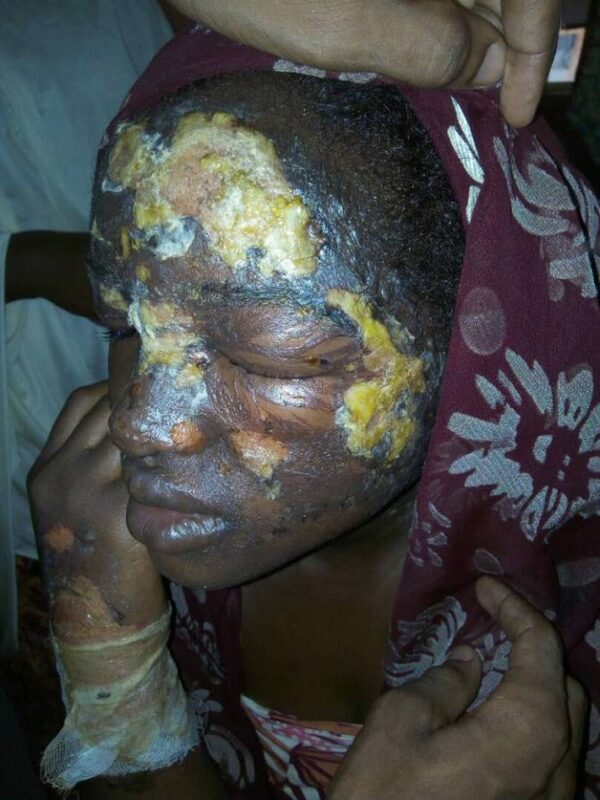 A housewife has been left seriously disfigured and burnt after a jealous woman attacked her with hot water in Yobe. A jealous woman has attacked a housewife in Yobe state over a disagreement. The victim was left severely disfigured and is now receiving medical attention at the Specialist Hospital, Damaturu. A non-profit organization in Damaturu, the Northeast Youth Innitiative For Development (NEYIF) alongside the Damaturu Police command and Family of the victim are handling the case. The woman and her husband are now at large.